To maximize this contemporary Tiburon home's dazzling views of San Francisco, the Golden Gate Bridge, and East Bay, Sutton Suzuki Architects installed large wood framed glass openings. 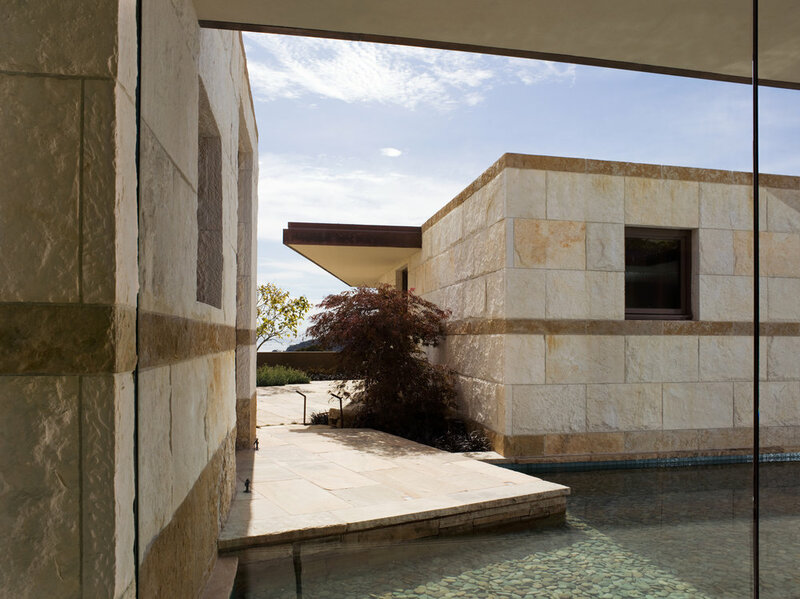 For contrast, QuarryHouse built walls from rough-hewn quarry face stone blocks of Texas Limestone. By using two natural colors of the stone, a detailed banding visually unites the interiors. 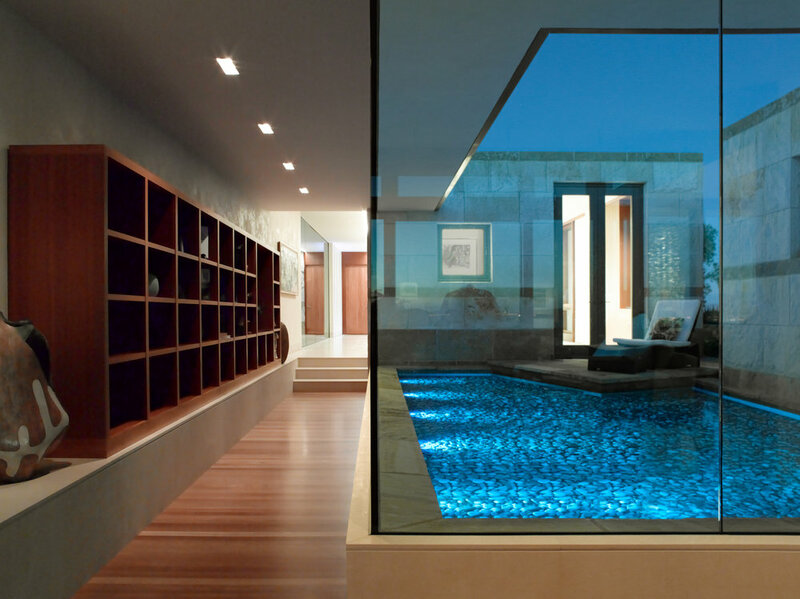 Many rooms feature two stone sides juxtaposed by two glass ones. 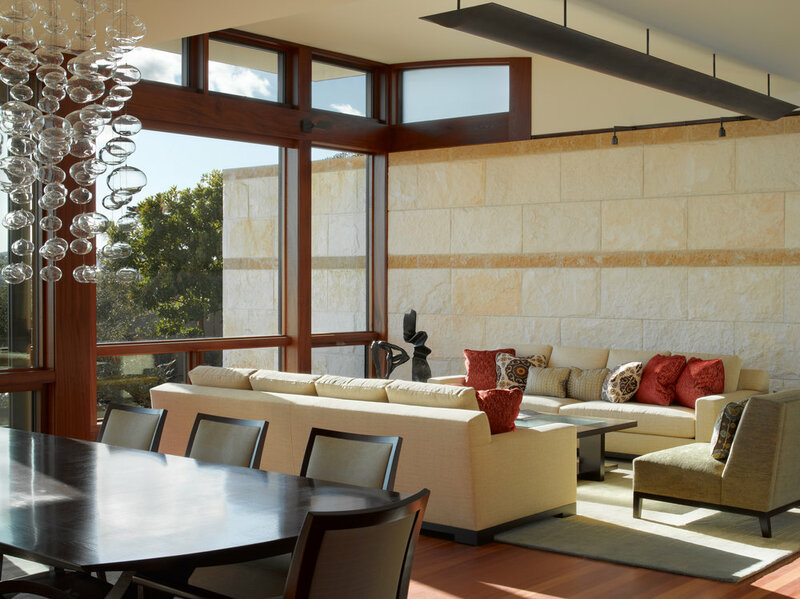 Brazilian cherry wood and mahogany cabinetry warm the stonework and glass surfaces. Outside, several living spaces with sheltered verandas repeat the stone colors in a classic ashlar pattern for the retaining walls and stairs. 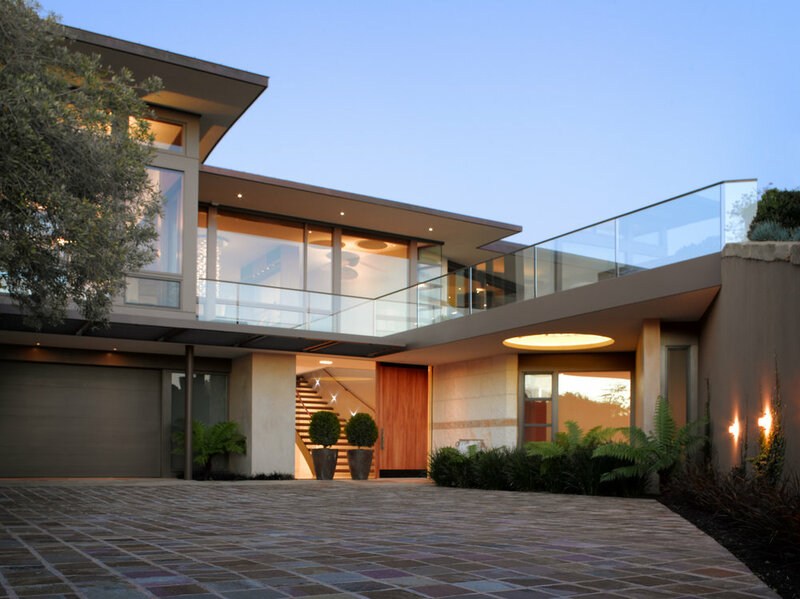 Limestone paving offsets the design.